If you’re in the Moose Jaw or Regina areas and you’re looking to purchase a vehicle from us here at Crestview Chrysler, let us help you make the proper financial arrangements. Our financing experts will work with you to determine whether or not a traditional package or Customer Choice Financing would be the best method for you. Either way, competitive auto financing for Moose Jaw drivers is just one meeting away with our team at Crestview Chrysler. Another convenience is that we’re located just 74 km from Moose Jaw! Take the Manitoba Expy E., continue onto SK-1 E, then proceed to take the Lewan Drive exit and turn left onto Lewan. Turn right onto Saskatchewan Drive, and finally, make a left onto Albert Street. We’ll be on the right! A completely open agreement. With Customer Choice Financing, the vehicle loan can be paid down or off at any time with zero penalties or hidden fees. Lower monthly payments when compared to traditional financing methods. Choice of payment frequencies. If you prefer a schedule different than monthly installments, you can make bi-weekly, weekly, or semi-monthly payments instead. Varied vehicle return option dates. Finance your vehicle for up to 36, 48, or 60 months. When said date arrives, you can either return the vehicle altogether, keep it and pay off the balance up front, or continue financing the loan for the 96 month amortization period. Zero safety inspections, taxes, or fees are applied if you decide you would like to pay off the balance of your loan at your preferred vehicle return option date. 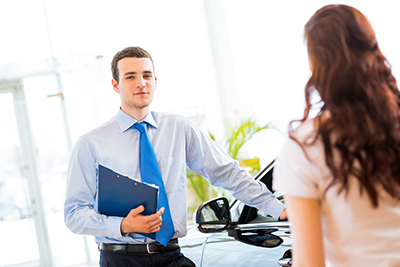 To apply for financial approval from our dealership, just fill out this secure online form. If you have any questions or concerns, feel free to give us a call at (306) 525-5411 or visit our showroom at 601 Albert Street in Regina.